Volunteer judges are needed for several different genre of children’s books, including iPad book apps. As you may know, I have been especially interested in how iPad book apps combine elements of print books, audiobooks and interactive websites. 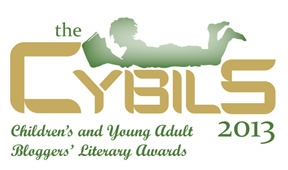 I helped launch the Cybils Book Apps award and am returning as the chair of the Book Apps committee. It's no secret--comic books are HUGE in our library. 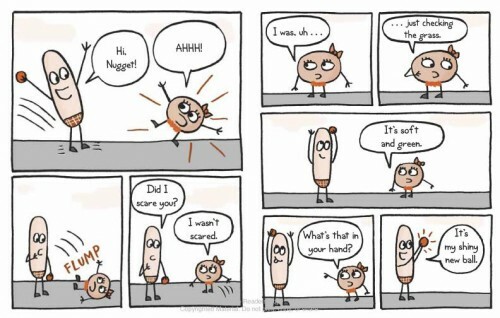 Kids love the energy, humor and visual storytelling they see in comic books. 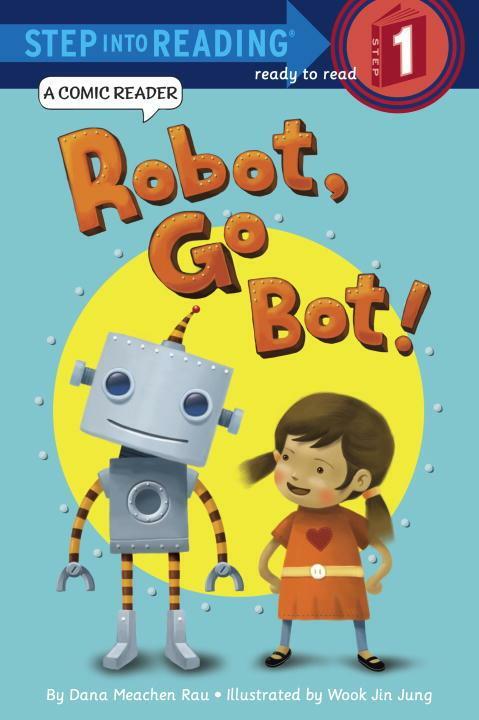 I'm very excited about two new comic books especially for beginning readers: Robot, Go Bot! is part of a great new series Step Into Reading Comic Reader. 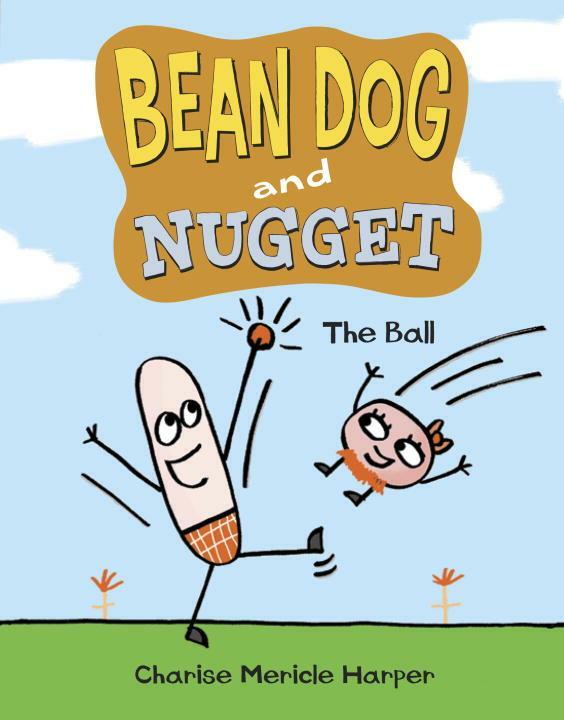 Bean Dog and Nugget: The Ball is a longer book, but still with very simple text -- perfect for beginning readers who are ready for longer stories, but still are only reading simple words. Robot, Go Bot! put a smile on my face, and I think it will do the same for our kindergartners and first graders. 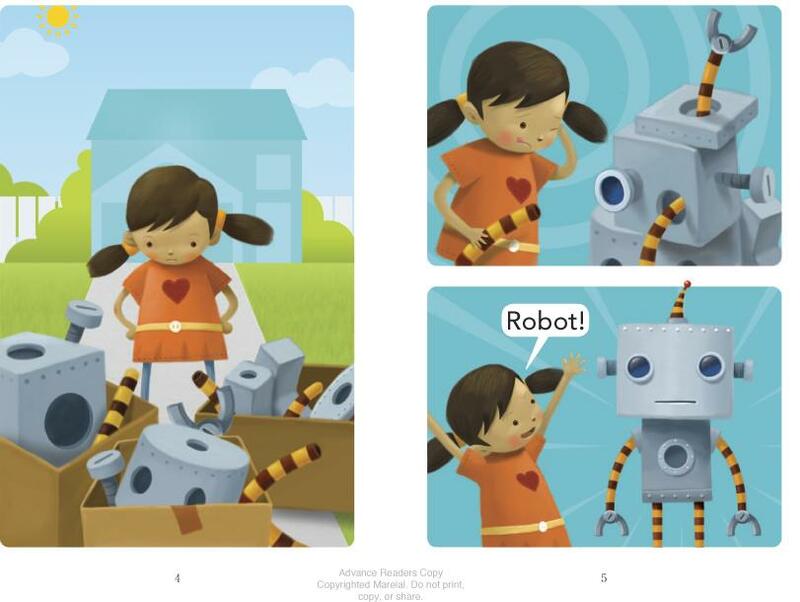 Kids will connect to the tale - I mean, who wouldn't want a robot they could order around to do their chores and play with them? Especially if you built that robot yourself! They'll love the bright illustrations which focus the action on the little girl's joy, bossiness and frustration. Wook Jin Jung has a background in animation and graphic design, and you can clearly tell the influences. But what my students will love best about Robot, Go Bot! is that they'll be able to read the story themselves, with the simple words, rhyming text and picture support. 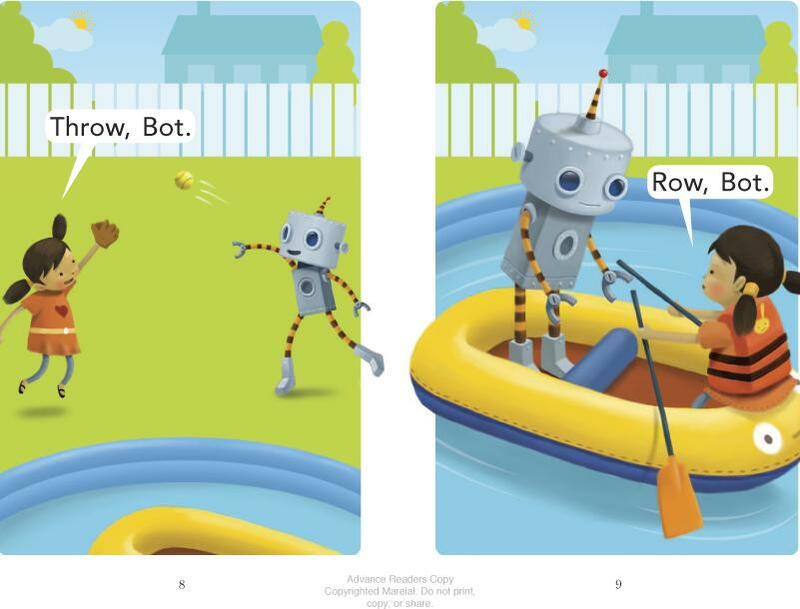 The story is told through very simple dialog: "Go, Bot!" "Throw, Bot." "Row, Bot." "Sew, Bot." As the little girl gets more and more demanding, the robot is clearly not pleased. Like our own little kids, these new friends have to figure out a way to compromise and ask each other to play nicely. Dana Meachen Rau's spare text is complemented by Wook Jin Jung's minimalist cartoon illustrations, making this text a welcome sight for new readers. Let's hope they have more adventures for Robot in the works! Oooh, a shiny new ball! Bean Dog is so excited to tell his friend Nugget all about it and show her. But when she asks to touch it, he pulls the ball away and says, "NO! It's special to me." So what do you think Nugget does? Yup. She walks away. And that's NO FUN for Bean Dog. Hmm, what should he do??? Charise Mericle Harper has captured this classic moment in kids' friendships using utterly simple drawings and text. Not only will kids connect to these dilemmas, but they'll be able to understand the arc of the story through these simple drawings and words. When Bean Dog's ball gets lost in the bushes, the friends work together to figure out how to get it back. Utter goofiness ensues, as the friends throw their shoes into the bushes. There's a particularly giggle-inducing scene when Bean Dog wants to throw his pants into the bushes. The pair discover, as kids so often do, that it's much more fun to solve the problem together and make a game out of the whole adventure. I love the ample white space around the drawings and text. Kids who are learning to read must also learn the way comic books work. I talk with my first graders how you read them top to bottom, left to right, one panel at a time. The simplicity of the drawings keeps the focus on the dialog and plot, an important thing for new readers. I'm guessing that kids will also have fun drawing their own Bean Dog and Nugget adventures. Get this for kids who've loved Elephant and Piggie and are ready for something a little more complicated. Check out Travis Jonker's review at 100 Scope Notes and Charise Harper's guest post on Writing For Kids, as she tells about where she got the idea for Bean Dog and Nugget. The review copy was kindly sent by the publishers, Random House. If you make a purchase using the Amazon links on this site, a small portion goes to Great Kid Books (at no cost to you!). Thank you for your support. This month marks the 50th anniversary of the March on Washington, one of the largest political rallies for human rights in U.S. history. I often wonder about how we can best share this event with children--what may be living memory for us or our parents is certainly history for them. I am often surprised how many of our elementary students have not heard Martin Luther King's famous "I Have a Dream" speech. Martin and Mahalia is a beautiful new book sharing this moment in a special way for children. 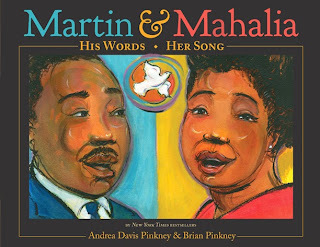 The authors, husband and wife team of writer Andrea Davis Pinkney and illustrator Brian Pinkney, focus on the inspiring words of Martin Luther King, Jr. and also the gospel legend Mahalia Jackson. With poetic words and inspiring illustrations, Andrea Davis Pinkney and Brian Pinkney show how Martin and Mahalia came together as leaders of the civil rights movement, arriving at the pivotal moment of the March on Washington. The narrative starts with Martin and Mahalia's youth, as they grew into their gifts and found the strength and conviction of their voices. Brian Pinkney used blues and greens to imbue the background of spreads on Martin Luther King, Jr., as you can see in this page below. You'll also notice the symbolic dove in the top right hand page. Each illustration includes the dove, as a spirit guide throughout this journey. Mahalia grew into her voice, singing the gospel and inspiring all types of people. "Mahalia's voice was brass and butter. Strong and smooth at the same time." The illustrations for Mahalia are filled with reds, oranges and yellows. It would be fascinating to ask students if they thought there was any symbolic importance in terms of these hot or cool colors. Brian Pinkney also incorporates key parts of the text throughout his illustrations, emphasizing the words' poetic, dramatic tone. when we all will be free. On the steps of the Lincoln Memorial at the March on Washington in 1963, Mahalia was the lead-in for King, singing the gospel classic I've Been 'Buked, and I've Been Scorned. Mahalia set the tone for the crowd, inspiring them but also quieting them, bringing them to the pivotal moment when King took the stage. As readers will notice, when Martin and Mahalia come together, Pinkney combines their colors, infusing the page with shades of purple and violet. Pair Martin & Mahalia with Kadir Nelson's soaring new book I Have a Dream, which illustrates Martin Luther King's inspiring speech and includes a CD recording of the original speech. For fascinating background and a beautiful introduction of this book, definitely check out the archived recording of the Booklist Webinar “I Have a Dream”: An Anniversary Celebration. I even think students would enjoy hearing this author and artist introducing this book. And I love Andrea Davis Pinkney's singing - what a treat, especially given this story! For other great nonfiction books to share with your readers, check out Nonfiction Monday. This week it's hosted by Perogies and Gyoza. The review copy was kindly sent by the publishers, Little, Brown. The illustrations are copyright ©2013 Brian Pinkney, shared with permission of the publishers. If you make a purchase using the Amazon links on this site, a small portion goes to Great Kid Books (at no cost to you!). Thank you for your support. Poetry can make many topics more animated than straight nonfiction, especially when it's combined with outstanding artwork. 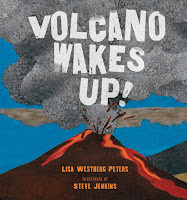 If students are excited reading about volcanoes, they'll love Lisa Westberg Peters' Volcano Wakes Up!, with illustrations by the amazing Steve Jenkins. We'd like to share this as part of our Common Core IRL: In Real Libraries look at volcanoes, as students read about a topic from many sources, gradually increasing in text complexity. The Common Core standards ask students to read a wide variety of literature, including poetry, throughout the year. This is a great moment to encourage students to try out different types of poetry and look at how the craft of poetry adds to a nonfiction topic. Imagining a day in the life of a volcano, Peters brings readers right into the setting of an imaginary volcano on Hawaii. Told in alternating points of view, these sixteen poems are both humorous and descriptive as they chart a day from sunrise to moonrise. "Hey, bro, where R U? I know it's early a.m. These poems add humor to a nonfiction unit, as well as provide a way for students to think about and experience nature in a different way. Some students might even think about writing their own poetry, creating new characters based on some of their other reading and discoveries. CCSS RL3.5 Refer to parts of stories, dramas, and poems when writing or speaking about a text, using terms such as chapter, scene, and stanza; describe how each successive part builds on earlier sections. CCSS RL3.6 Distinguish their own point of view from that of the narrator or those of the characters. The Common Core asks students to write and discuss poetry, explaining how the craft of poetry contributes to the overall effect of poem. At times I worry that this will take away the enjoyment of fun poetry, but I think that's part of how we approach it. As I work on this in my own teaching practice, I want to remember to help students talk about the craft a little - but always in the view of asking why it works, why it's funny, how the poet created it so we enjoyed it so much. Do your students enjoy poetry and science when they're combined together? Do you have any favorite poetry books that help children experience a new place in the world? I'd love to hear your favorites in the comments. For more great poetry resources, check out today's Poetry Friday, hosted at Steps and Staircases. Poetry Friday is a weekly celebration organized by KidLit bloggers - for the full schedule, check here. Check out these other posts from the Common Core IRL: In Real Libraries. Many thanks to my colleagues and contributors with Common Core IRL: Alyson Beecher, Louise Capizzo, Travis Jonker and Cathy Potter. We hope to continue to bring you topics throughout the year. The review copy came from my school library. If you make a purchase using the Amazon links on this site, a small portion goes to Great Kid Books (at no cost to you!). Thank you for your support. Volcanoes certainly grab your attention, with their enormous size, ferocious explosions and deadly force. About 1,500 volcanoes are currently active, threatening more than one billion people on Earth! But how do we help our students learn about these rumbling giants? Today, our Common Core IRL team is uncovering a range of resources to help students learn about volcanoes. Alyson at KidLit Frenzy, Cathy and Louise at The Nonfiction Detectives, Travis at 100 Scope Notes and I have been sharing ideas all summer on the Common Core. It's certainly a hot topic! Here at Great Kid Books, I'm investigating multimedia resources to engage students, establish important background knowledge, and help develop their listening comprehension skills. With dramatic images and clear narration, this National Geographic video introduces a wide range of volcanoes. Students will be fascinated by many pictures of flowing lava, billowing gas clouds and smoking mountains. The combination of visuals and clear narration helps students acquire new vocabulary words they'll need to tackle reading about this subject. The fast paced images will hold students' attention, although the video covers too much information too quickly for students to absorb all of it at once. In fact, it might be interesting to ask students if there are any visual features, such as titles or captions, that might help make this video a better learning tool. In any case, this video serves as an excellent introduction for students interested in learning about volcanoes. 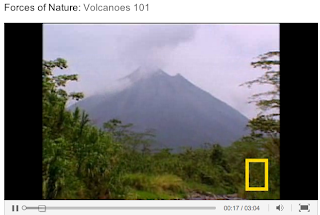 Note that the same video is available on the National Geographic site, along with several other volcano videos; however, advertisements precede the videos on the regular site and not on the National Geographic Kids site. This brief television news report provides an excellent example of how active volcanoes can affect people's lives. The Popocatepetl volcano, just east of Mexico City, had been relatively quiet for much of last year. But this July, it started spewing ash and gas, causing concern for the 50,000 people living in neighboring towns. This news report is brief and succinct, making it accessible for elementary students. 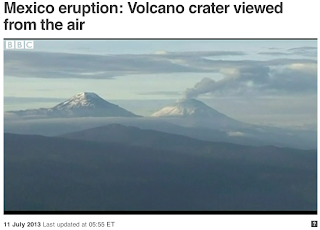 For a longer follow-up article, I might suggest Fox News Latino's article Mexico's Popocatepetl Volcano Gets A Check Up, published August 1, 2013. "If literacy levels are to improve, the aims of the English language arts classroom, especially in the earliest grades, must include oral language in a purposeful, systematic way, in part because it helps students master the printed word... Oral language development precedes and is the foundation for written language development; in other words, oral language is primary and written language builds on it." As librarians, we must provide our students with engaging multimedia experiences to learn about the world around them. Even in upper elementary grades, students are able to comprehend more complex material by listening to a multimedia presentation than reading about it. It's important to help students understand this, so that when they're interested in a subject they can seek out different ways of learning about it. CCSS SL4.2: Paraphrase portions of a text read aloud or information presented in diverse media and formats, including visually, quantitatively, and orally. CCSS SL5.3: Summarize the points a speaker makes and explain how each claim is supported by reasons and evidence. After watching the BBC news report, students can work in pairs to summarize the news and explain how the recent eruption is affecting local people in Mexico City. After watching the National Geographic Kids video, students might add to the class chart tracking information they are learning about volcanoes. It might be helpful to pause this longer video at a few strategic points to have students talk about terms they are hearing. Learning new academic and content vocabulary is especially important when exploring a new topic. I have been absolutely fascinated learning about volcanoes. I know it's a bad pun, but I feel like I'm just barely scratching the surface of this topic. If students are interested in them, help them find a range of resources, starting with easier basic introductions and then building up to more complex resources. Check out these other posts from the Common Core IRL: In Real Libraries. Many thanks to my colleagues and contributors with Common Core IRL: Alyson Beecher, Louise Capizzo, Travis Jonker and Cathy Potter. We hope to continue to bring you topics throughout the year. Wow, oh wow. 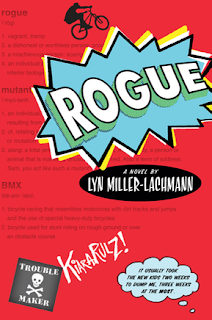 If you want a book to grab you, take you on a gripping ride and make you think about what it means to be a friend, check out Rogue by Lyn Miller-Lachmann. My twelve-year-old read this, utterly intrigued by this story, and right away told me that I had to read it. Boy was she right! In fact, Kiara has Aspberger’s Syndrome and cannot process the social cues around her or the emotions surging through her. Kiara feels intensely isolated now that her mom has left to pursue a singing career in Canada and her father has emotionally withdrawn. It often seems that Mr. Internet is Kiara’s only source of information and support. When Chad’s family moves next door, Kiara is desperate to make and keep a friend. Against her better judgment, she joins Chad on his trips to buy large quantities of Sudaphed. At first she believes that it’s just to help his little brother’s cold, but she soon realizes that Chad’s parents are running a meth lab out of their home. Chad certainly manipulates Kiara, but he does not completely reject her. As Kiara and Chad become closer through their shared love of BMX biking, they each discover a sense of accomplishment and pride. Kiara makes exciting videos of all the kids doing stunts on their bikes, posting them to You Tube. The kids all love the attention her dramatic videos get, and she feels a special place - for once in her life. Miller-Lachman raises multiple questions through this gripping, gritty story: What does it mean to be a friend? How do you find your place and your talents in the world? While this is certainly a story about a young girl coming to terms with Aspberger's Syndrome, it's much more a story about what it means to be a friend. The graphic climax creates a tense narrative in which there are no tidy answers. Kiara and Chad both grow, but their journeys are difficult and will continue that way. This is certainly a book I would recommend for kids in middle school or high school, because of the impact of drug and alcohol use. It's intense, but realistic - with clear consequences. I found it really interesting to read on Lyn Miller-Lachmann's blog about her school visit with the 8th grade at Hackett Middle School. She talked to the kids about the problems Kiara has making friends, and then asked for their advice to Kiara. It's fascinating what the kids had to say, that they recognized that Kiara needed help, and then how Miller-Lachmann transitioned the discussion into bullying. The review copy was kindly sent by the publishers, Nancy Paulsen / Penguin. If you make a purchase using the Amazon links on this site, a small portion goes to Great Kid Books (at no cost to you!). Thank you for your support. The joy of escaping into a book! I'm sorry for the silence these past few weeks. I've been recharging, spending time with my family and catching up on many things I've been wanting to do for a while. And yes, I've been doing lots of reading! I love being able to connect specific books with the memory of where I read them and how it felt at the moment. Last summer, I loved reading When Life Gives You O.J. by our favorite pond in the Sierra mountains. This summer, I savored reading P.S. Be Eleven in the glorious sunshine on our back deck when the children were away at camp. Ah, peace -- for a moment. I'll be sure to write about it soon - it's a book I can't wait to share with students this fall. My other favorite moment has been watching my own kids find their ways into getting lost in a book or two this summer. Most often it's been those long, stretched out moments when they've been bored and I've refused to organize something. I've tried to limit the electronics - for both myself and them - during the day and late at night. Quite an eclectic mix! Graphic novels, illustrated fiction, an ebook checked out through the public library, a full length audiobook (listened to while surfing Pinterest and Instagram). Really, the most important thing is giving them choice but also insisting that they carve out some time during the summer for reading. The other funny, odd, but telling observation is that while my kids love reading, they have chaffed at summer reading requirements. They want to discover their own taste in reading. They hate it when school invades on this and tells them what to read. This is especially true if it's a long book, challenging in some way, or really different from the genres they typically like. I just wish more teachers would read Donalyn Miller's The Book Whisperer. If you've seen your own kids have negative experiences with required summer reading, please give that feedback to your children's teachers. Let them know that there are other ways to encourage/require reading over the summer! So now that I'm feeling more recharged, I'm hoping that I can get back into sharing some of the books I've loved this summer! As always, if you make a purchase using the Amazon links on this site, a small portion goes to Great Kid Books (at no cost to you!). Thank you for your support. 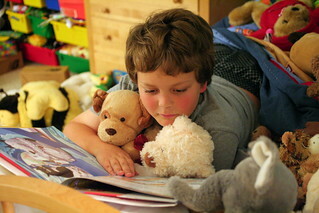 Image "Caught Reading" shared via Creative Commons, from John Morgan.